The northern coasts of the Gulf of Mexico (GoM) are highly vulnerable to the direct threats of climate change, such as hurricane-induced storm surge, and such risks are exacerbated by land subsidence and global sea-level rise. This paper presents an application of a coastal storm surge model to study the coastal inundation process induced by tide and storm surge, and its response to the effects of land subsidence and sea-level rise in the northern Gulf coast. The unstructured-grid finite-volume coastal ocean model was used to simulate tides and hurricane-induced storm surges in the GoM. Simulated distributions of co-amplitude and co-phase lines for semi-diurnal and diurnal tides are in good agreement with previous modeling studies. The storm surges induced by four historical hurricanes (Rita, Katrina, Ivan, and Dolly) were simulated and compared to observed water levels at National Oceanic and Atmospheric Administration tide stations. Effects of coastal subsidence and future global sea-level rise on coastal inundation in the Louisiana coast were evaluated using a “change of inundation depth” parameter through sensitivity simulations that were based on a projected future subsidence scenario and 1-m global sea-level rise by the end of the century. Model results suggested that hurricane-induced storm surge height and coastal inundation could be exacerbated by future global sea-level rise and subsidence, and that responses of storm surge and coastal inundation to the effects of sea-level rise and subsidence are highly nonlinear and vary on temporal and spatial scales. This study was funded by the Office of Biological and Environmental Research, Office of Science, US Department of Energy, under contract DE-AC05-76RL01830. 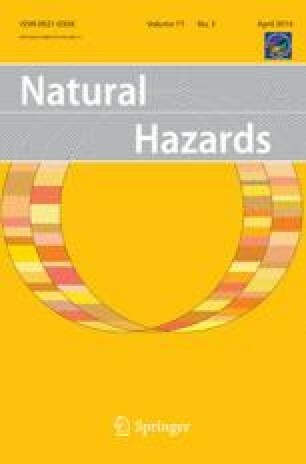 The authors thank Dr. Changsheng Chen of the University of Massachusetts at Dartmouth and Dr. Virginia Burkett of the US Geological Survey. The authors would also like to thank the Coastal Protection and Restoration Authority of Louisiana for providing the subsidence data used in this study.